We are proud of the feedback we have received from our clients. Here is a sample of some recent reviews we have received from our clients. After becoming aware of a shocking discovery involving my husband, I was left with no choice but to divorce him. Needless to say, I was terrified of the unknown. I had been a housewife for the 18 years of our marriage and never handled our financials as this was my husband’s role in the marriage. I didn’t know anything about the laws of divorce, had no clue what to expect, and had no idea who I could trust to handle my case. Mercedes came strongly recommended to me by a family friend. After meeting with Mercedes, I decided to choose her because she made me feel empowered by the strong passion she has for women’s advocacy. Mercedes took her time in communicating with me to explain the laws of divorce, to understand my expectations, and to set forth realistic expectations according to the law. She worked tirelessly on my case and ultimately fought for me to get more than I ever expected. This was perhaps the most stressful time of my life and I could have not made a better choice than choosing Mercedes to see me through! Thank you Mercedes for everything you do to advocate for and empower women to move on with their lives comfortably after the tough situation of divorce. I had the privilege of having Mr Makofka as my attorney to help me in my divorce case. Mr Makofka was very professional and guided me each step of the way on what to expect . He will go out of his way to make sure his client is satisfied with the outcome and is very much in contact with his clients during the entire process . He will fight tirelessly for you. I would also like to say what an exceptional staff he has, they kept me up to date on my case and where more then willing to answer any complicated questions I had. The entire law firm team is just fabulous making sure their clients have an easy as possible experience on a not so easy issue. I would highly highly recommend that you make this your one stop shop when searching for a law firm that will make sure their clients are happy and satisfied. Paola and her staff helped me attain 50/50 custody of my children and set the school designation based on my residency. I still have her on retainer and will never use anyone else. I would recommend the same to anyone. Thanks for your continued help Paola! Paola got me through my divorce in 2012, and then I was pleased. 5 years later her and her counter part Lester impressed me even more by helping my new husband obtain 50/50 custody in a custody modification battle. It was an up hill battle that was executed with such care, professionalism, charisma, and class, that I will forever be indebted, and would recommend anyone to her and her staff. She will never really truly know how much she is appreciated, and what a huge difference she has made in our lives. Lester was absolutely amazing too!! 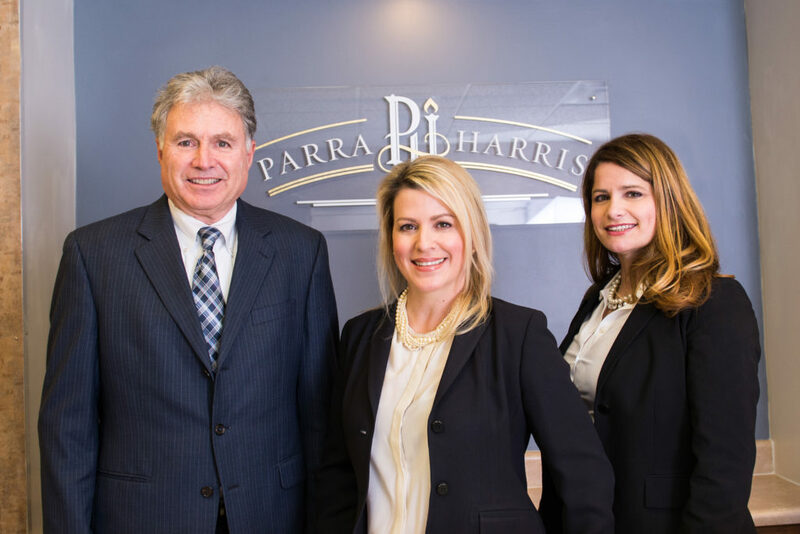 I can’t say enough times how thankful I am for Parra Harris Law helping me with my divorce. I needed someone on my side. I was with another attorney who was not out for the best interest of my son or I (and never knew who I was when I called). Dear friends of mine put me in contact with Paola the week before Christmas. She was out of town on holiday vacation she called and talked to me and then called her office and had them get me in as I had issues going on that needed immediate attention. Let me remind you this was the week before Christmas. The staff scheduled me an appointment to meet with Mercedes (one of the amazing attorneys in this firm). We sat down and talked, and she agreed to help me and look out for my son’s interests as well as mine. Mediation day came and Oh My Goodness… Mercedes represented me so well, she looked over all of the details, kept me from being reactionary in a super emotionally charged situation, and what was supposed to be a 4-hour mediation turned into a nearly 8-hour mediation. Mercedes was amazing in how she handled everything even helping me make sure all of the documents were in order. The Staff and Attorneys at Parra Harris Law are amazing. I met Paola after the divorce was over at a dinner one night (my first time actually meeting her), and she asked how things went. I was overwhelmed with gratitude to someone who helped me during such a critical time, helped me while she was on vacation, made sure I was able to have representation, and she remembered me and the situation (which I will be honest I was not expecting)! YOU CAN’T GO WRONG CHOOSING THIS FIRM!!!! Dear Paola, thinking about you and your terrific service. You are so very deserving of excellent reviews. We are thoroughly enjoying our family again. Thank you for allowing God to work in your life to serve others. Thank you for caring! We surprised the kids after court and took them out to eat. They didn’t know they would get to see each other until they walked through the door. Oh my goodness. Wish you could have seen them. Hugs, hugs, and more hugs were shared. Had to sit together, and it hasn’t stopped. Going to ball games and watching each other play their games, visiting each other’s house to go fishing, and the list goes on. . Thanks a million – a day and a win we will always remember! Just wanted to Thank You for ALL you’ve done for me. It’s been seven years since we started my divorce settlement and life has been so much easier. My daughter is now 21 years old and has completed lil over a year in the US Air Force as an Security Force Officer and is doing good. I thank God for you all the time😊. I met with Paola to discuss ongoing litigation of divorce related issues. She understood my issues and demonstrated to me the concern of a mother who wanted to do what is best for my family. Divorce is personal and painful for every side of the experience. It is important you feel a connection with who is guiding you through this difficult process. Paola Parra Harris listened and treated our situation with confidentiality and care. She maintained communication and a steadfast initiative throughout. The most important piece through it all was emotional protection of my children. A lawyer and a mother, Paola Parra Harris’ extensive experience in the field allowed my family to achieve both personal privacy and fiscal stability.